Healthcare professionals and businesses are routinely barraged with people who claim to be able to generate business for them. The business of healthcare is like none other in its abhorrence of anything that even smells like payment for patient referrals, so professionals and businesses alike have to be extremely cautious and well advised in crafting marketing and related business-enhancing relationships. Targets of enforcement activity who have obtained good legal advice often pay just to put an end to the enforcement because there’s a risk of losing and “winning” can feel like losing when one considers the enormous defense costs. 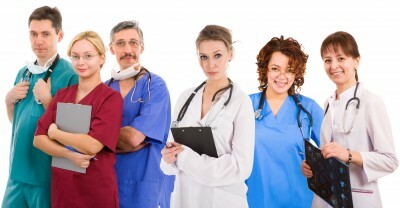 Super groups are in vogue as physicians do their best to reduce costs and enhance revenues. A “super group” is essentially a collection of previously separate competitors who have joined a single legal entity in order to achieve certain advantages. Those advantages tend to be (1) reducing overhead expense associated with economies of scale. Buying insurance for a group of 100 doctors should be far less expensive per doctor than a group of three doctors; (2) gaining leverage in managed care contracting. 20 groups of five physicians each cannot contract with a payer with “one voice” due to the antitrust restrictions, but a single group of 100 doctors can; and (3) finding new revenue sources. Small groups and solo practices cannot afford revenue producing services like surgery centers, imaging services and such. When practices combine, they have a greater patient base, which makes the development of new revenue sources feasible. Physicians join super groups with terrific promise and hope. They are clearly a good idea, especially if they have solid operations. That said, physicians who rush to form them rarely consider the risks associated with a physician departing the group. They need to! When a doctor joins a super group, she stops billing through her old practice (the “P.A.”) and starts billing through a new group (the “LLC”). The LLC has a tax ID number and a Medicare group number. And the LLC enters into lots of managed care payer agreements. Simply put, the doctor puts all of her eggs in the LLC basket. So what’s the risk? It takes even longer to get on insurance plans. If the LLC is contracted (they usually are), how long will it take to get the P.A. fired back up? It can take as long as six months (and sometimes even more)? That means the departed doctor is out of network with all the plans! This exposes her patients to higher costs and may affect referral patterns. This alone can be crippling to a physician who has left the super group. Leaving can also mean ending access to patient scheduling and electronic medical records. Many super groups do not ensure access to patient scheduling or billing to enable a departing physician to get back on their feet; and this can be devastating. Noncompetes can play a big role in how a departing physician gets back on her feet. Ideally she will know that being solo is not as good as being part of a larger practice. But what if the super group imposes a restriction on the departing physician that prevents her from being part of another group? This is common and often very harmful, since some physicians who depart super groups have no effective options but to join other groups. Carefully considering whether or not noncompetes make any sense. Some may say that it is important to protect the new practice (like the old one), but these are different sorts of practices. They are not built from the ground up. They are built because successful competitors who have been in business for years decided essentially to “loan” their practices to the super group in order to obtain certain unique advantages. Super group arrangements continue to grow. Some of them even develop into fully integrated and sophisticated businesses. Physicians who join them have to consider all “angles,” not just how good it will be or can be when they join.